How tall are we? How long are we? Sadly it seems we’re not going to be able to use the McDonalds drive-through. We’re just too tall. I’ll never get to experience the delights of a Big Mac. Because, I mean, who’d actually walk into a restaurant? More seriously, if you catch the ferry in Washington state, they need to know how long your van is so they charge you the correct fare. 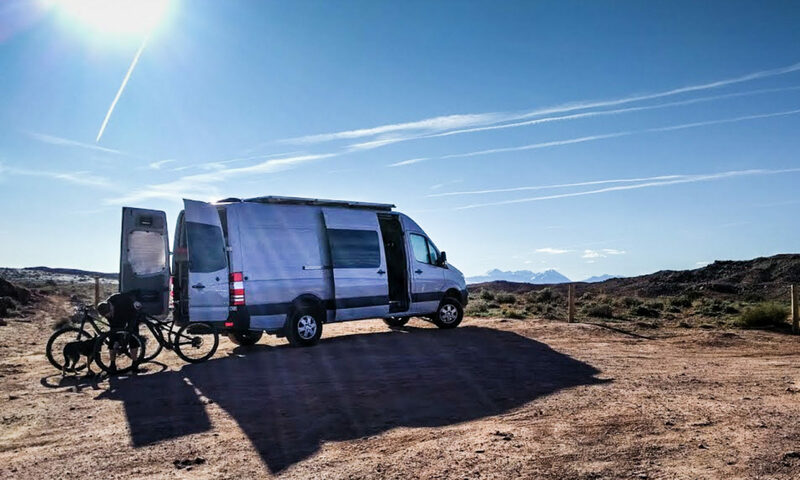 If you want to know (rather than guessing) whether you’ll fit into a parking garage or under a low bridge, you’ll need to remember how tall your van is. The answer is super-simple, inconspicuous, and cheap. We stuck a dymo tape label on top of the dash cluster. In normal conditions, it’s hidden from sight behind the steering wheel. 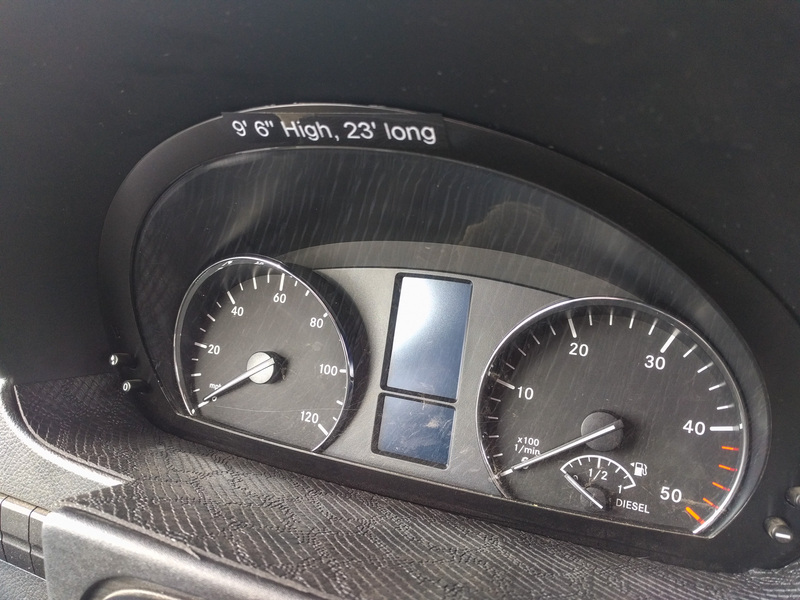 When we need a reminder of how tall or long we are, we just glance at that area of the dash. The Dymo tape system is interesting. It works on the razor handle/razor blade pricing model. You can get the Dymo label maker for less than $20 (sometimes less than $15), but then each D1 label cartridge costs around $8 for a 23 foot length of 1/2″ tape. It’s really useful stuff though. You can get black text on white background, black on clear, or like we used here, white text on a black background. They also make a nylon-based tape that sticks better on things like cables. We used that to label some of the wires behind the scenes in our breaker panel so we know which of the twenty identical red wires goes to which location in the vehicle. When we made the height/length label, we added a little bit of wiggle room. I think we’re actually 9’4″ to the top of the Maxxair fan, and 22’6″ to the back of the hitch receiver. Always better to be safe than sorry, though. Just want to say thanks – you are helping me immensely in figuring out my build. This site is amazing. Thanks Robert. Just giving back to the Sprinter community.